John Aston, Professor of Statistics at the University of Cambridge, has been appointed as the Home Office's new Chief Scientific Adviser. 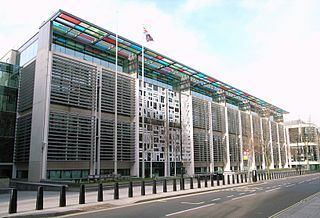 The Home Office building in London. Image: Steve Cadman, CC BY-SA 2.0. "I am honoured and privileged to be joining the Home Office as its Chief Scientific Adviser," Aston said. 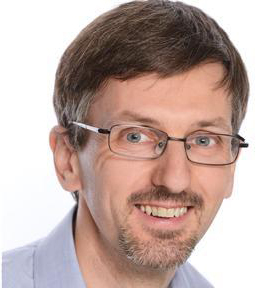 "I'm looking forward to working with the scientific community to understand the issues facing the Department over the coming years and identify how science, engineering and analysis can help to overcome those challenges." Aston's role at the Home Office will be to ensure that decisions are informed by scientific evidence wherever possible, and to help ministers and officials assess the quality of evidence and the uncertainties involved. As Chief Scientific Adviser he will offer advice directly to those ministers and officials and work together with the Chief Scientific Advisers' network to advise on issues that cut across government. The job of science advisers is to make sure all scientific information is available to ministers (though in the past such advice has not always been welcomed: recall the controversy surrounding Chief Drug Advisor David Nutt's 2009 criticism of the government's stance on cannabis). But in the short time Aston has been in his new post his experience has been positive and he is looking forward to contributing an expert view point. As he told the Science and Technology Committee in October, "I have certainly found it easy, both with Ministers and with senior officials, to have proactive conversations about what kind of evidence gaps they feel there are and where science can contribute to those evidence gaps." The remit of the Home Office covers a wide range of social issues and Aston's notes that it's important to take the broadest possible view of what science involves. "People naturally think of science as being physics, chemistry and maths," he told the Committee. "I do not take that view. I think that science spans the entire remit, and I want to be able to be involved in everything, including the arts, humanities and social science implications, which are just as important if not more important than some other things in the Home Office. I want to be involved in the whole spectrum of things."